Client layout, no journalling. 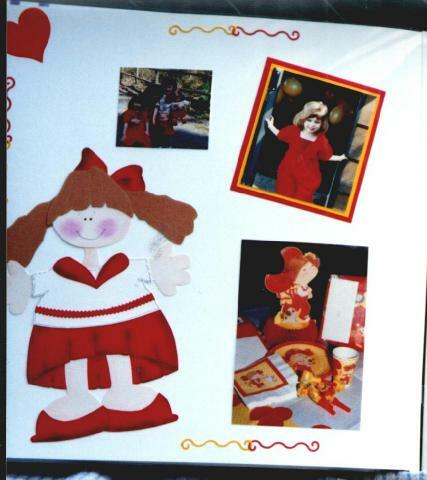 Paper pieced doll created using non typical pattern source...dressed identically to a doll in one of the photos. Simple border embellishments as the client likes.